All those roads, all those options, all that freedom! Cycling around the world is a nice idea in itself, but the world is notwithstanding all the modern technology still quite large if you want to pedal it all the way. There are a loads of roads to take, a lot of countries to cross, a few continents to visit. So which ones will I take and from which direction? When the plan of cycling came into my mind, it ‘stood as a pole above water’ (‘there is no doubt about it’) as we say it Frisian/Dutch that I would cycle from Fryslân to China. Than my plan extended to cycle ’round the world (why not if I’m already that far, right?). So China became Japan. On my way up there I intend to cycle through Turkey, Iraq, Iran and so on. But how safe are these countries at the moment, not to say in about a year? A bullet in my tyre can be fixed, but I probably don’t have the right glue to fix a bullet in my head. So I will investigate that in the coming time. 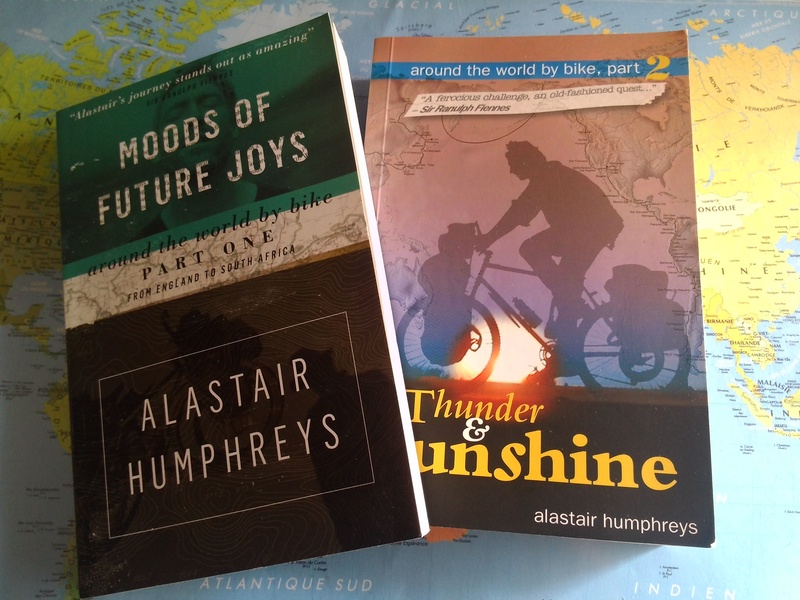 After reading Alastair Humphreys’ books I got all excited about cycling from South America to Alaska. But my plan is to go to Japan (his as well, but that changed along the way), so I want to try do it the other way around. But where do I go after Japan? Island hopping to Kamchatka, take a boat or plane or cycle through Siberia (like Humphreys)? I like the idea of the island hopping. Is that possible? I would say everything is possible… But first I’ll look into it the coming time. If all goes well I will arrive in Cape Horn (holy moly, would I ever reach it? I can’t express how excited I am only thinking about it!). Then to South Africa and up to Morocco, Spain and so back to Fryslân? One way or the other Africa doesn’t appeal to me by bike. Don’t get me wrong, I would love to visit Africa (I exactly did once, namely Egypt), but then I would like to do some hiking. So I will search on the internet to read how other people have experienced that. Who knows I will change my mind. So, especially the last bit is still open and I think I will let it be open for now. Time will tell, and maybe some comments will tell me some as well, so thanks in advance!